To celebrate Earth Day, we just (virtually) adopted a piece of Earth! NASA invites you to help us celebrate Earth Day 2017 by virtually adopting a piece of Earth as seen from space. 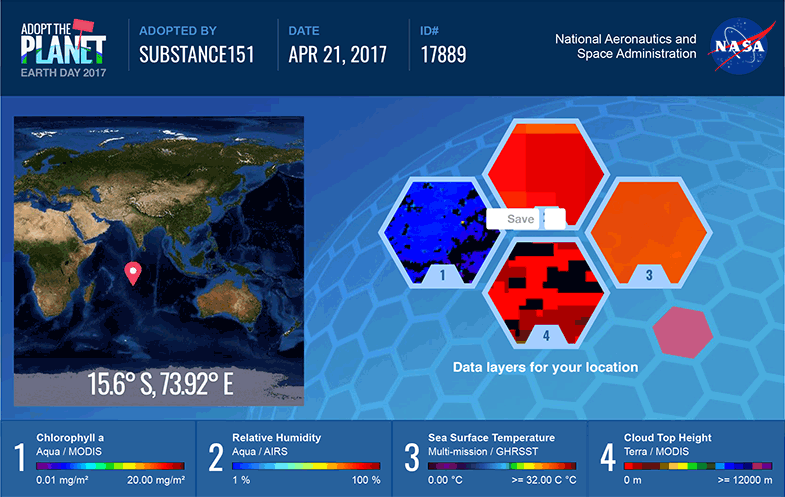 Your personalized adoption certificate will feature data from NASA’s Earth-observing satellites for a randomly assigned location. Print it! Share it! Our piece of Earth is #17889 at 15.6° S, 73.92° E. Which one will you get?